How do I find Vital Speeches of the Day? - Ask Us! Q. How do I find Vital Speeches of the Day? 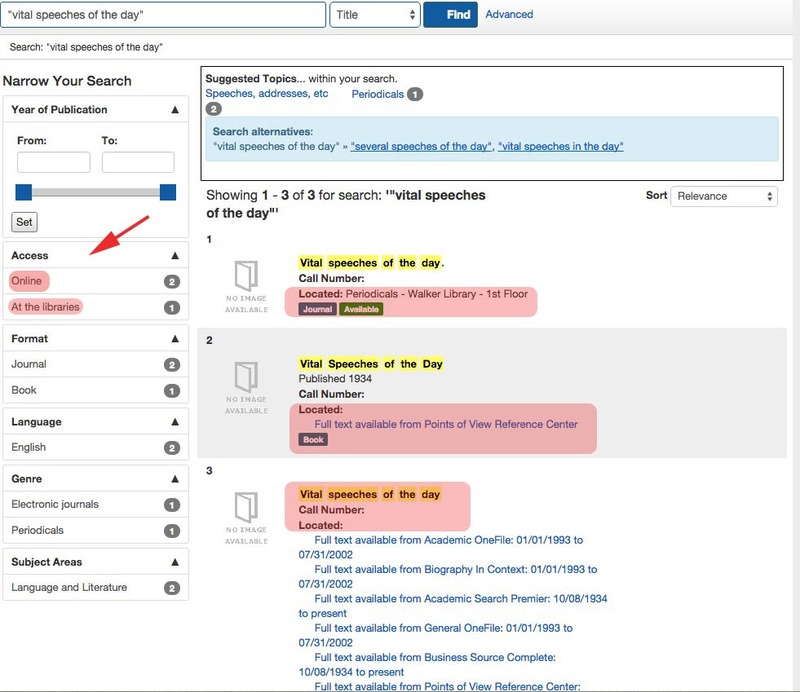 Vital Speeches of the Day are located both in the Library in Periodicals and online. To locate either the online or physical copies, search the Library Catalog. Type "vital speeches of the day" in the search box. Select the "Title" field. Click Find. Use the left column Access to limit to the print copy "At the libraries" or "Online" to locate an electronic version. There may be multiple online options avaiable.